Every quarter makes a difference in someone's life! Support us by shopping at Amazon Smile! 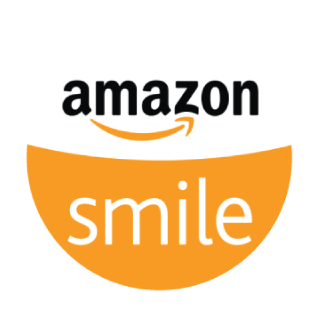 Set our parent non-profit Neighboring Knoxville as your charity, and start your Amazon shopping at smile.amazon.com to help fund Laundry Love! Now offering PRE-REGISTRATION for events! Register online to reserve your spot and reduce your wait! When it's tough to make ends meet, something's got to give! Often that ends up being laundry, but clean clothes provide so many benefits that we don't want anyone to go without. We wanted to help, but we couldn't do it without great facilities. Bluewater Laundry at 3721 N Broadway has graciously offered us a home with lots of space for us to hang out together! Want to get involved? We welcome new volunteers to the team, and we can always use donations. Every quarter you donate makes a difference in someone's life! Nobody likes laundry. Some just wish they could do it at all. Laundry Love: Knoxville is a program operated by Neighboring Knoxville, designed to ease the burden of laundry care for struggling families. While many of us take laundry for granted, clean clothes can make a world of difference for adults seeking employment and kids attending school. We want to share our time and resources to provide our neighbors with a boost of confidence that clean clothing can deliver. We host a free laundry event from 6-8 PM on the third Thursday of every month at Bluewater Laundry at 3721 N Broadway in Knoxville. We'll provide the quarters, detergent, and fabric softener for up to 3 loads of washing and drying per family. Our events are more than just doing laundry--we provide a light meal, fun activities for the kids, and friendly conversation while the laundry tumbles. You can join us for our next event, volunteer to help out, or donate money or supplies to help brighten the lives of our neighbors. Laundry Love: Knoxville is a community effort! Like what we're doing? The only way we can make this a sustained effort is to have the Knoxville community behind us. That means people volunteering to work the events; that means families skipping a night out to sponsor a struggling family's laundry; that means businesses donating food, supplies, and cash to support their neighbors. To make a monetary donation, visit our Donate page where you can securely contribute with your PayPal account or credit/debit card. If you're a business who would like to sponsor a month's event or provide supplies you think we could use, please contact us. If you're a service provider (hair stylist, performer, etc.) who's interested in joining us for an event, let us know. Together we can make a difference!